Steven Cole - (Economics, MBA - University of West Florida, Business and Innovation - Stanford University) 22 years experience in the safety industry. 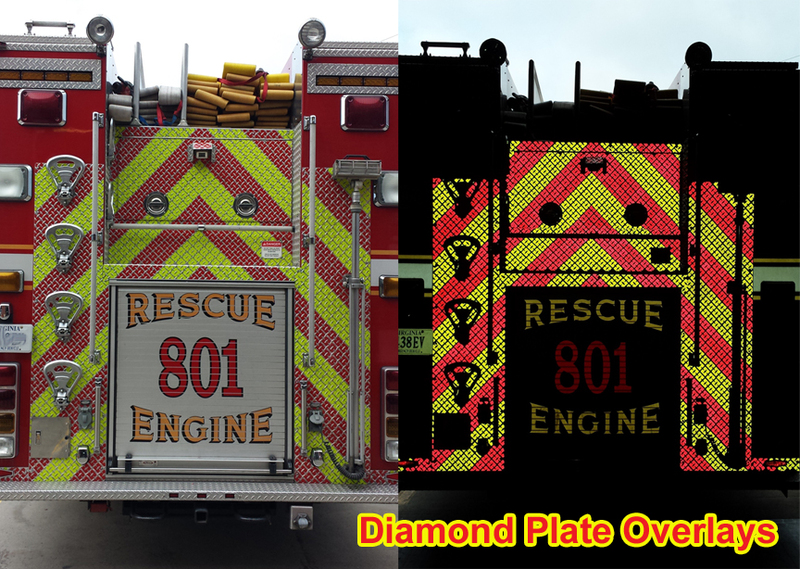 The images above show our diamond plate chevron overlays. 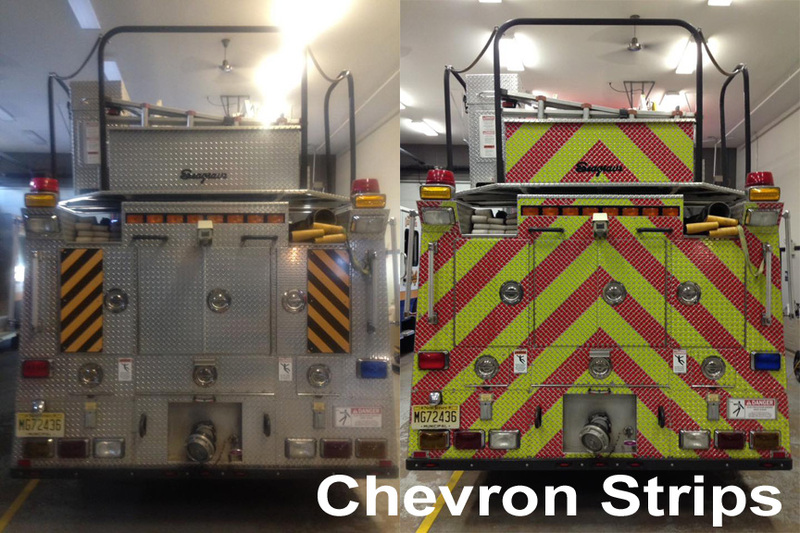 The images above are of our diamond plate chevron strips. 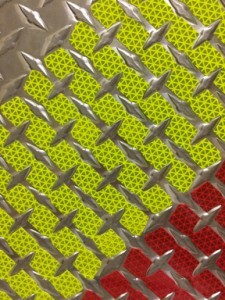 The picture above is of our reflective diamond dots for creating stripes on diamond plate. 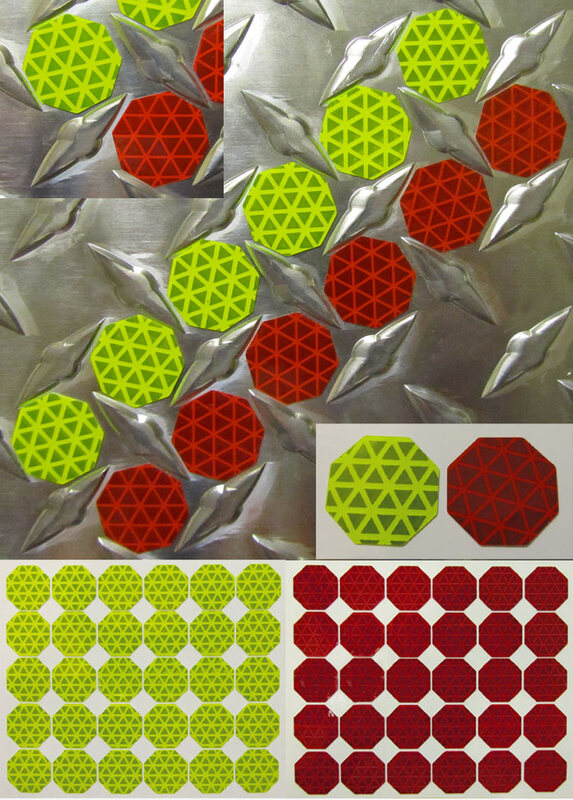 The images below are of our diamond plate dots. Steven Cole – (Economics, MBA – University of West Florida, Business and Innovation – Stanford University) 22 years experience in the safety industry. 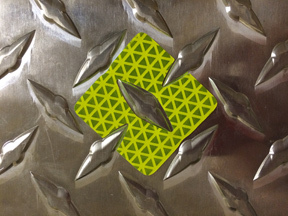 You can order reflective shapes for diamond plate here. To download this spreadsheet to your computer just click on the “little green x icon” at the bottom right of the calculator. This will let you use the sheet on your computer and print it. 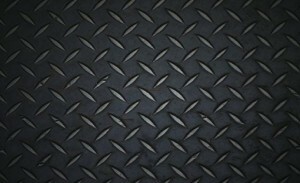 To order a free diamond plate sample pack email us at steve@reflectivestore.com. 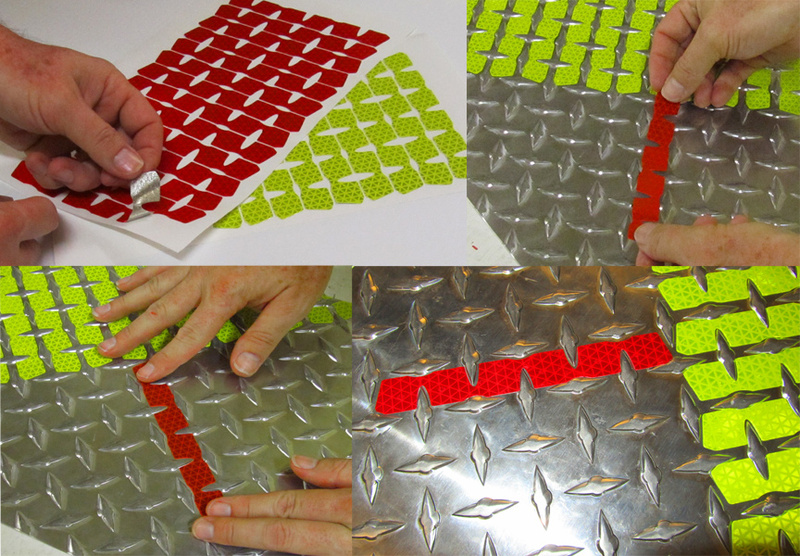 The video below is an overview of the five different methods for making diamond (tread) plate reflective. 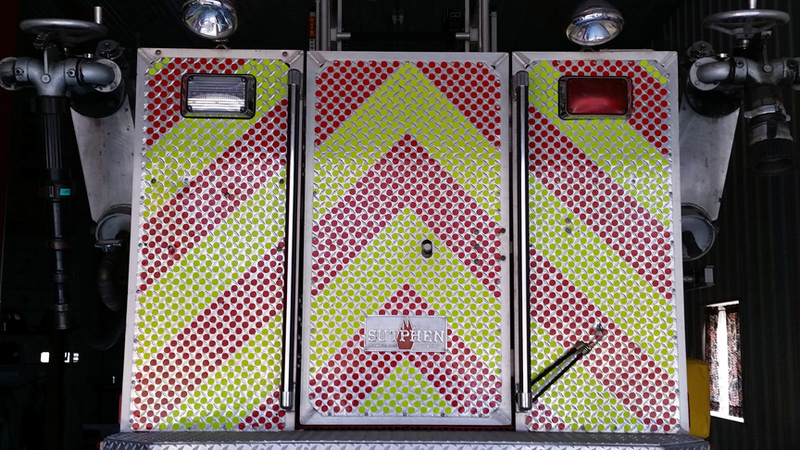 3/4″ dots, 3/4″ rounded squares, octagons, overlays and chevron strips. All have their advantages. 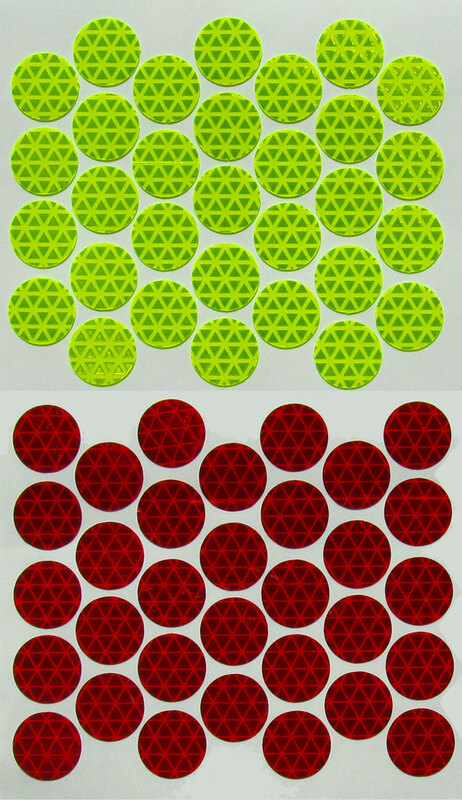 Dots, rounded squares and octagons work on almost all diamond plates. Overlays work on the diamond plate in the video as well as similar diamond plate with slightly different spacing between diamonds. 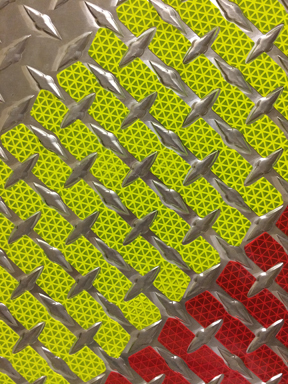 Chevron strips are the quickest cleanest way to stripe diamond plate. We carry 4 styles (A,B,C,D). One of the 4 styles should be a perfect fit. We recommend that you order our free reflective shape pack so that you can determine which shape is best for you. CLICK HERE To go to our online “Reflective Shape and Chevron Striping Calculator”. Measuring your diamond plate is the first step you will take regardless of which shape you choose. You are going to want to calculate the area of diamond plate in both square inches and square feet. To calculate square inches of area just measure the width and height of your diamond plate in inches and then multiply those two numbers together. 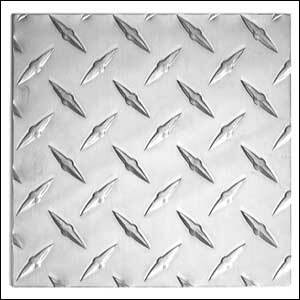 For example, a 24 inch wide x 36 inch high area of diamond plate contains 864 square inches. Now to convert the 864 inches into square feet you simply divide by 144. 864 divided by 144 equals 6 square feet. To summarize, inches of height times inches of width gives you the total square inches of diamond plate that you have. Dividing by 144 changes this number to square feet. Each 3/4″ shape fits into a 1 square inch area of diamond plate. It takes 144 – 3/4″ shapes to cover one square foot of diamond plate. 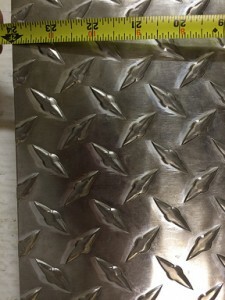 (12″ x 12″ = 144″) A sheet of 100 – 3/4″ shapes will treat 100 square inches of diamond plate. To calculate how many 100 shape sheets (dots, rounded squares or octagons) you would need you simply divide 100 into the square inches of diamond plate that you have to cover. 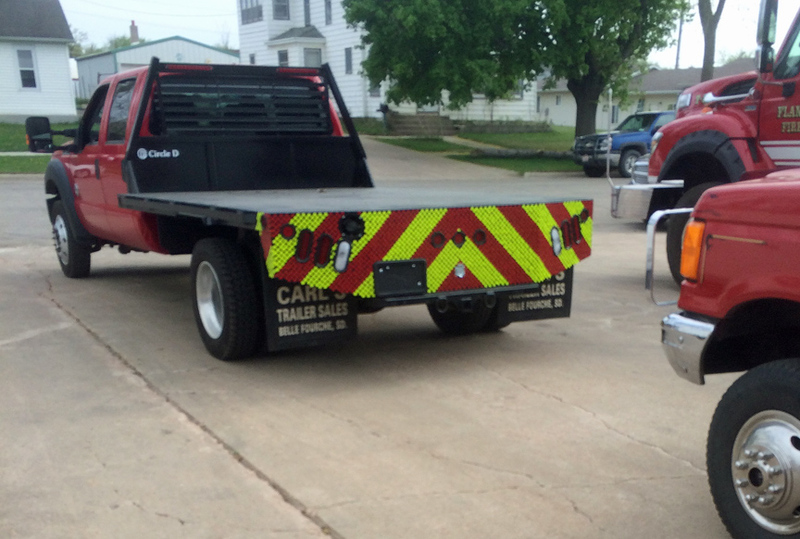 For example, say you have a 36″ x 48″ area of diamond plate to cover. That is 1728 square inches of diamond plate. If you divide 100 into 1728 you get 17.28 so you would need to purchase 18 sheets of dots. 9 would be red and 9 would be fluorescent lime since you are doing two colors to make your chevron pattern. The 3/4″ shapes currently run $10 per sheet so your cost would be $180 plus shipping. 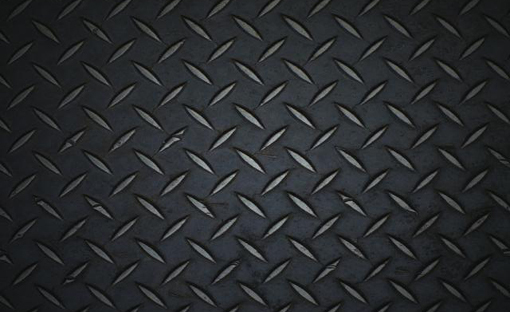 Our diamond plate overlays cover a 4 square inch section of diamond plate each. They come 1 square foot or 36 shapes to a sheet for $18. Therefore each sheet covers 1 square foot. To calculate how many sheets you need simple measure the square footage of the area you want to cover. That will be how many square feet of material you need. To do two colors simply divide by 2. 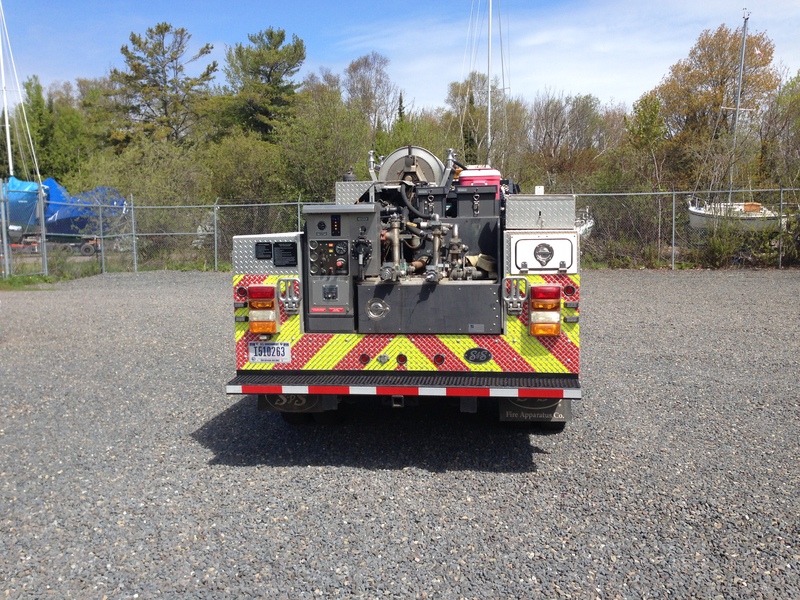 For example, say you have a 36″ x 48″ area of diamond plate to cover. That is 1728 square inches and if you divide by 144 you get 12 square feet. Or just multiply 3 x 4 sf to get the 12. 12 sf x $18 = $216. This is a little more that you would spend on dots but you are going to get more coverage and your application time will be less. 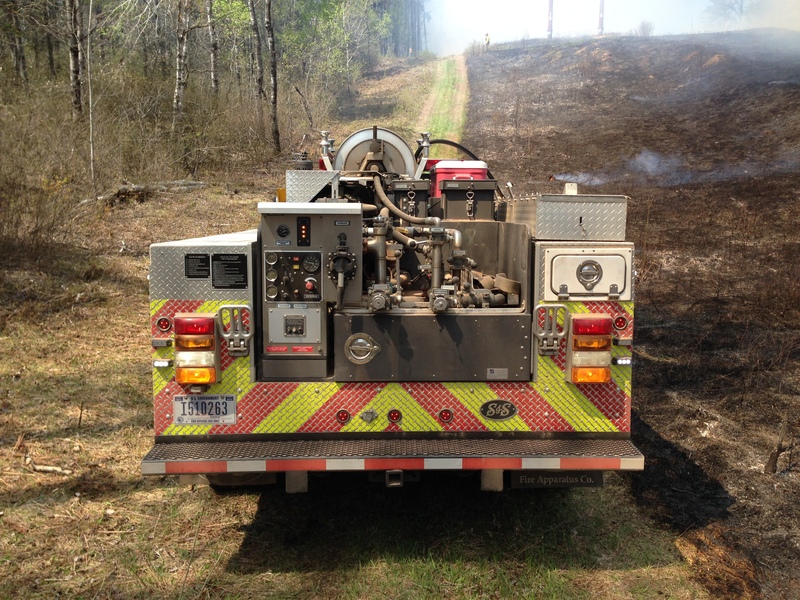 Our chevron strips cover 6 square inches of diamond plate per strip. The strips are sold by the square foot (24 strips). To get the number of square feet you need you would simply measure your diamond plate in square feet and order that amount. For example, a 36″ x 48″ area of diamond plate is 3 feet x 4 feet and when you multiply 3 x 4 you get 12 square feet. You would need 12 square feet of strips to cover that amount of diamond plate. Each square foot of strips is $18 so 12 x $18 = $216 plus shipping. You would order 6 square feet of red and 6 square feet of fluorescent lime. 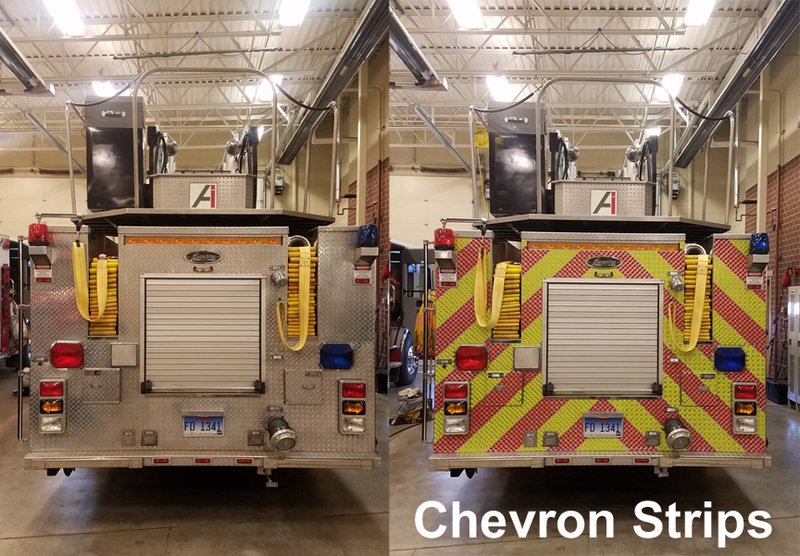 Our chevron strips come in 4 styles, A, B, C and D. This allows for the various spacings for different diamond plates. Our sample pack contains all 4 types and you can test for a perfect fit. We use Orafol’s Reflexite V98 material for all of our reflective shapes. We use this material because it is tough, bright and cuts very well with computer controlled plotters. It is also made in one layer which means that it will not delaminate like other films. This is a very important characteristic when it comes to longevity. Multi layer films like 3m and Avery are created by bonding two layers together. The top layer contains the prisms that provide reflectivity and the bottom layer holds the adhesive. The problem is that the two layers can be easily separated. 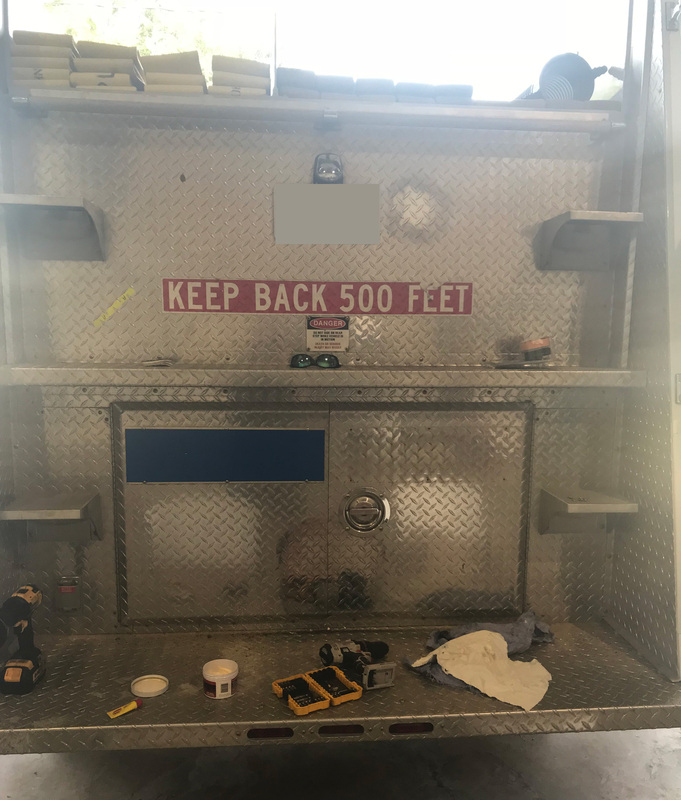 If you look at tractor trailer rigs you will notice that some will have the red and white tape where the top layer has been damaged or is delaminating. What is left is just the bottom non reflective layer. Orafol / Reflexite V98 tapes as well as their V92 and V82 DOT tapes are all made in a single layer. This means that it is impossible for the tape to delaminate thus contributing to a much longer service life for the shapes. The picture below shows how important this feature really is. Orafol/Reflexite V98 material is also conformable and repositionable. Conformable means that the material will stretch a little to conform to uneven surfaces. For dots this is not a major feature. Conformability is achieved through the use of vinyl in the construction of the film. Repositionable means the dots can be applied and then pulled back up and applied again. This is a nice feature to have for dots. A special adhesive gives the tape this ability. 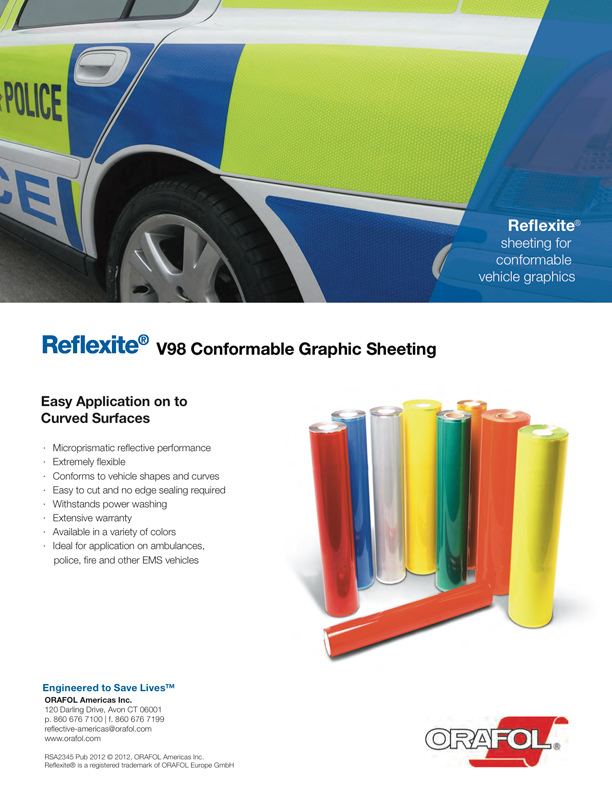 The image below shows more information on our V98 conformable material. 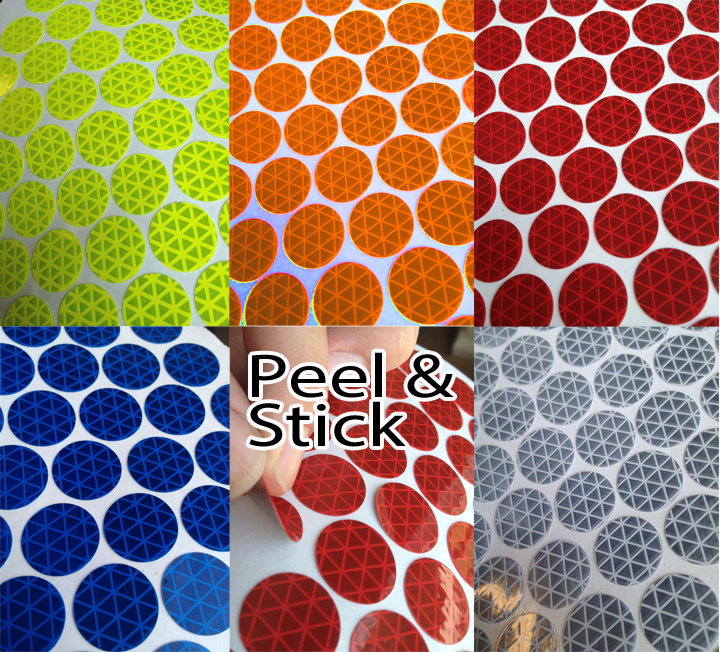 We cut reflective shapes from Orafol / Reflexite V98 material. We carry fluorescent lime, fluorescent orange, red, white and blue. Fluorescent lime and red are the two most popular colors. The pictures below show the different colors. 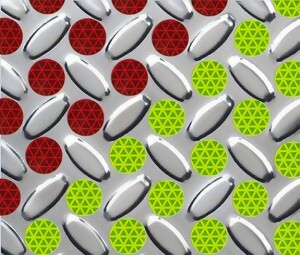 The image below shows the product in its retro reflective state. Prisms within the film concentrate and direct light back to the light source. 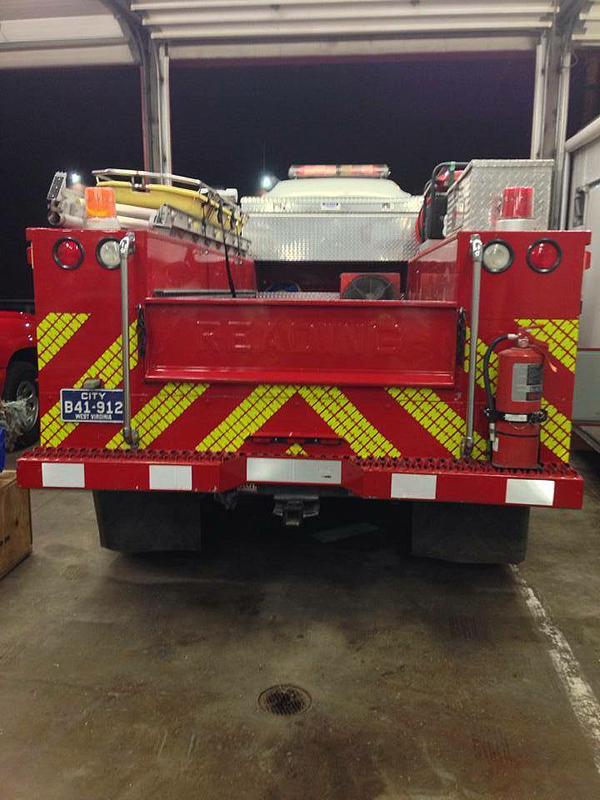 Emergency crews responding to an accident scene at night place themselves in great danger. Especially in high traffic areas. 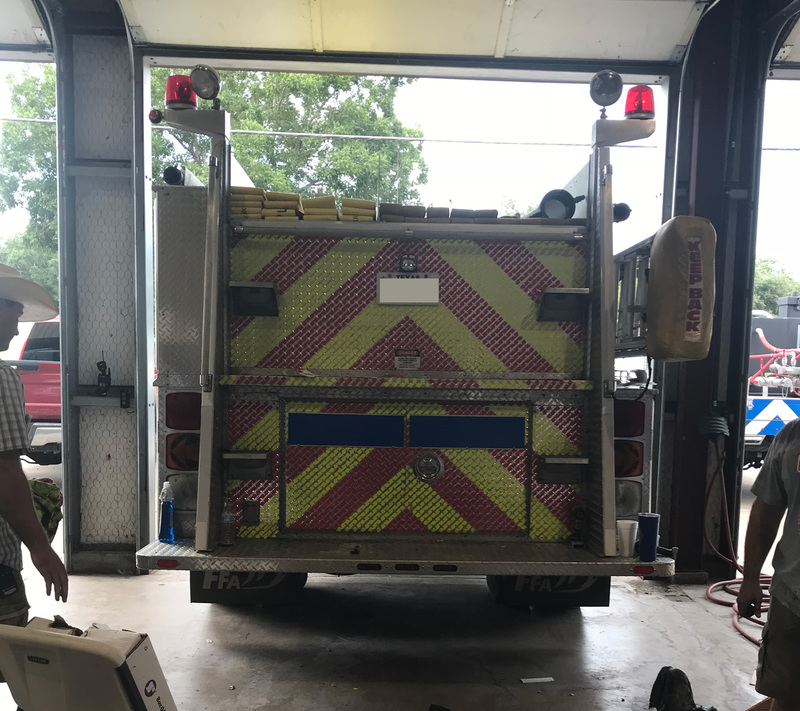 Reflective tape on emergency vehicles can increase their visibility and make passing cars more aware of their presence. 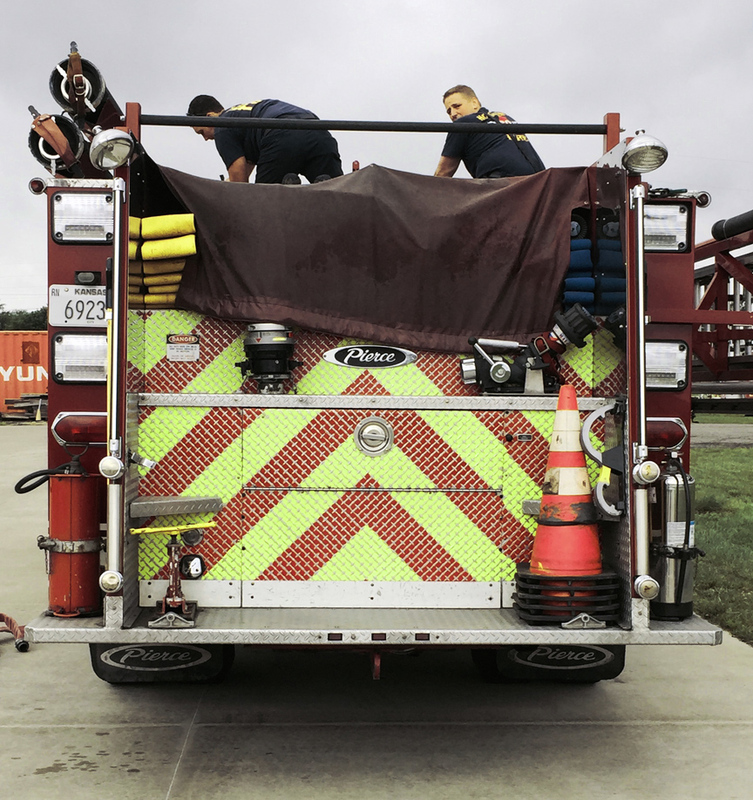 In many situations vehicles responding at an accident scene will have diamond plate or tread plate covering the rear of the vehicle. 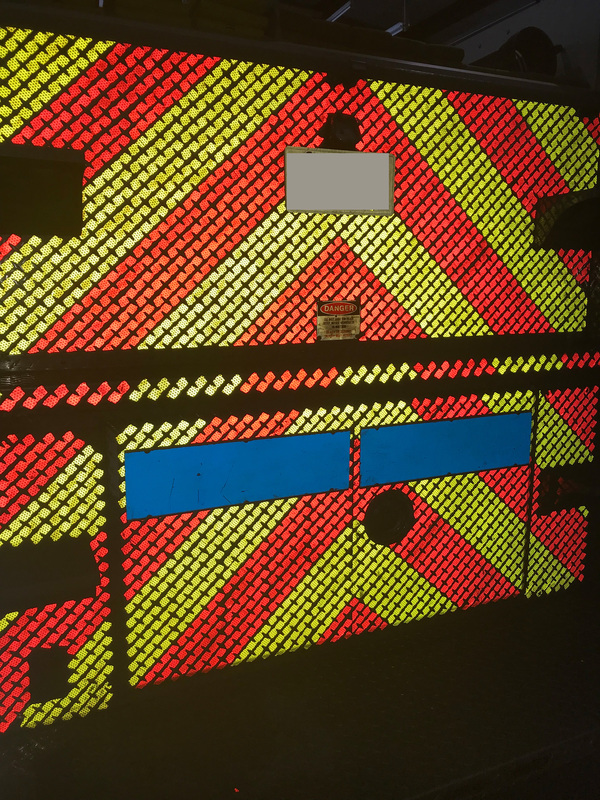 Reflective dots can be used on these surfaces to create conspicuity, thus keeping firefighters and emergency responders safe. 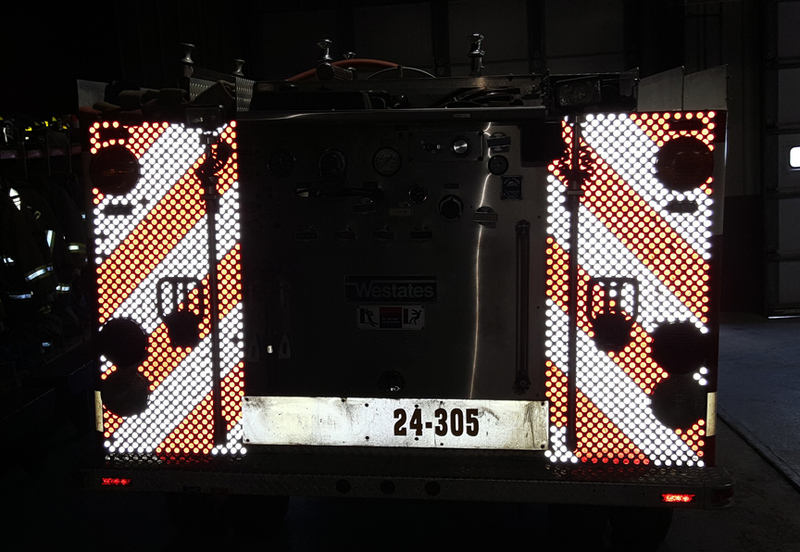 Our online store, www.reflectiveshapes.com sells a variety of reflective shapes that can be used to make diamond plate more visible at night. 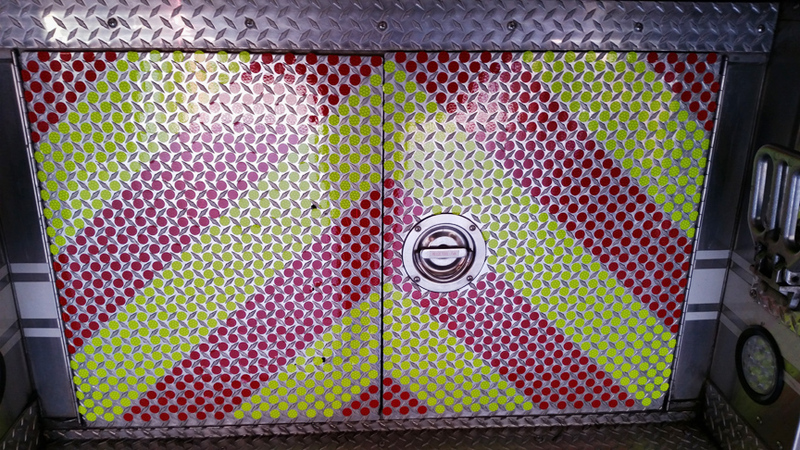 We recommend the 3/4″ circles, octagons, appliqué overlays that cover 4 sections at one time and our chevron strips that cover 6 sections at one time. The best way to try these shapes is to get our free sample pack. For a free sample you can email me at steve@reflectivestore.com or call 850-934-3157. 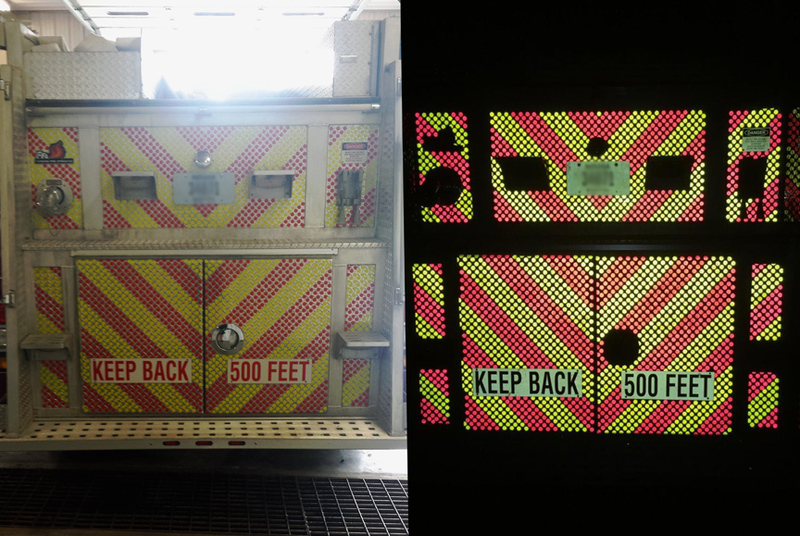 The image above shows our Reflective Chevron Strips. These strips are custom cut to fit around the diamonds. 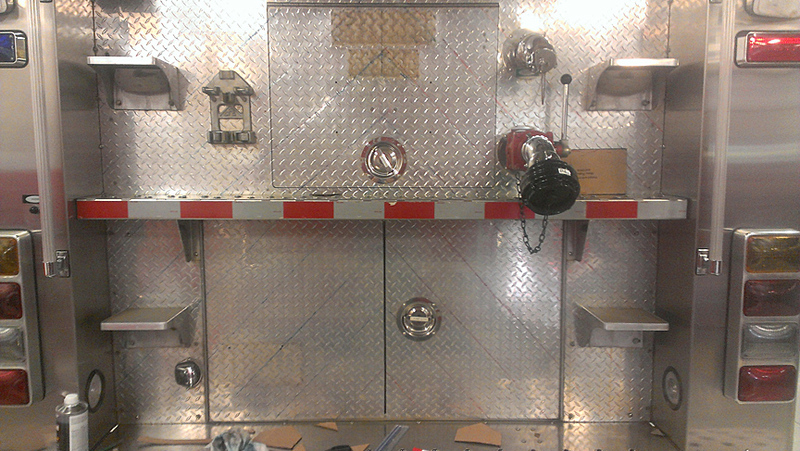 We have a Style “A” and a style “B” to accommodate two diamond plate configurations. Style “A” is for diamonds that are right at 1″ apart tip to tip. Style “B” are for diamonds that are 1/16″ under an inch apart tip to tip. Testing out the strips before you buy is especially important. One of the most popular ways of making diamond plate or tread plate reflective is to apply 3/4 inch dots or circles into the flat area between the diamonds. 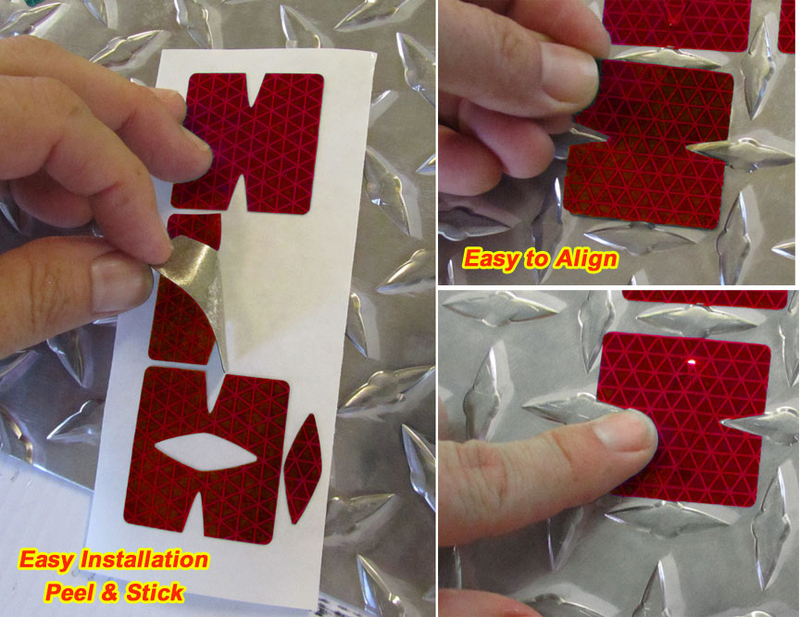 This is a simple process and takes just a few seconds per dot for installation. Round shapes are easier to apply than squares because they do not need to be edge aligned to look right. Simply centering them is all that is necessary. Also, make sure to press them on well as you apply. Especially around the edges. 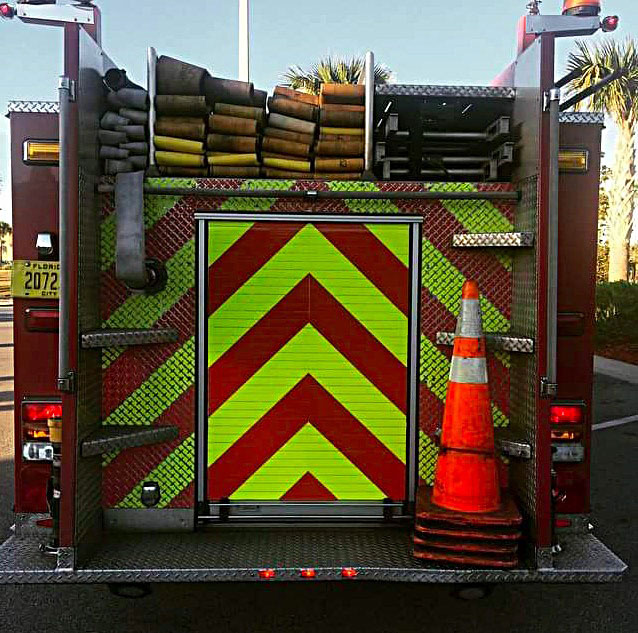 The NFPA 1901 standard calls for red and yellow chevron stripes to cover 50% of the rear of the fire truck or apparatus. 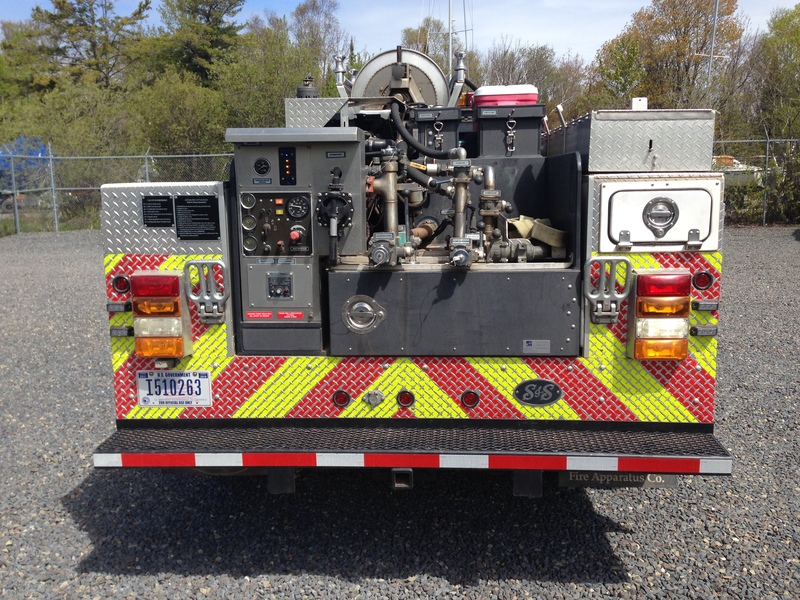 For non NFPA applications, other color combinations can be used. Stripes need to be 6″ wide and are to slant downward and out 45 degrees. 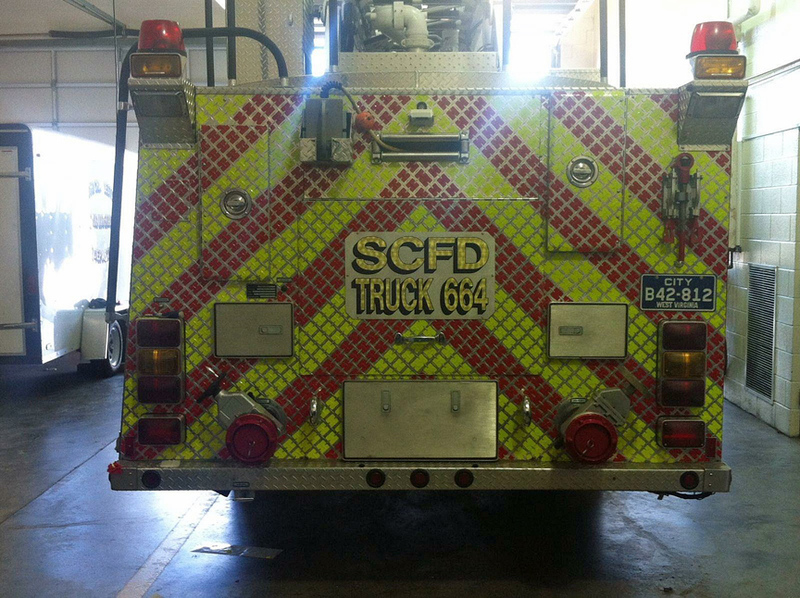 Placing 6 dots side by side creates a 6″ stripe. 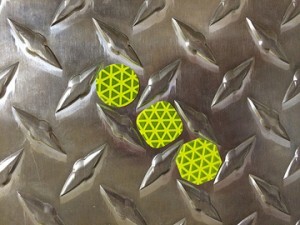 3/4 inch dots can be used on virtually all types of diamond plate. There just needs to be a flat area for them to lay. One of our more popular shapes is the Octagon. Its angled sides line up well with the diamonds which make it easy to line up. 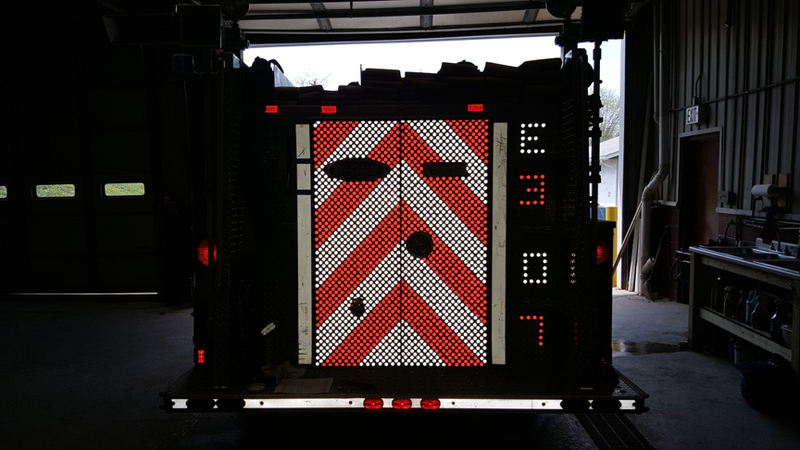 It also provides more coverage than standard 3/4″ dots. It fits most diamond plates that look like the one below. To apply, simply peel, position and press on. We recommend that you email or call us for a free sample pack so that you can test the different shapes on your diamond plate. My email is steve@reflectivestore.com and our phone number is 850-934-3157. 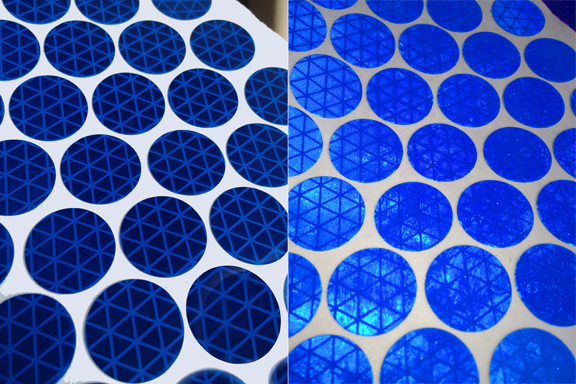 As with all of our reflective shapes, our octagons are cut from Orafol/Reflexite V98 Prismatic sheeting. This is a monolithic patented material that will not delaminate like other films. In other words, Reflexite films do not come apart. 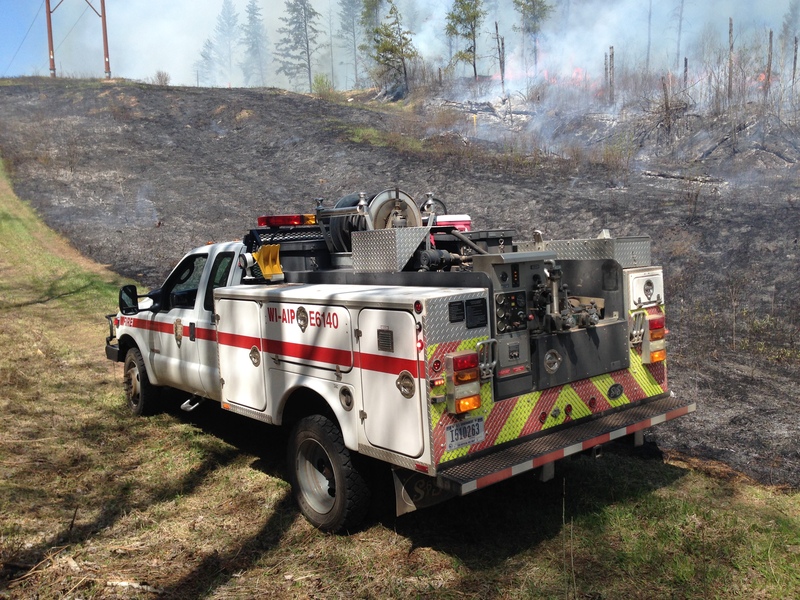 It is the only film we recommend for emergency vehicle applications. Our octagons are repositionable during installation which means you can remove and replace them while you are installing. Once installed they build adhesion over time.